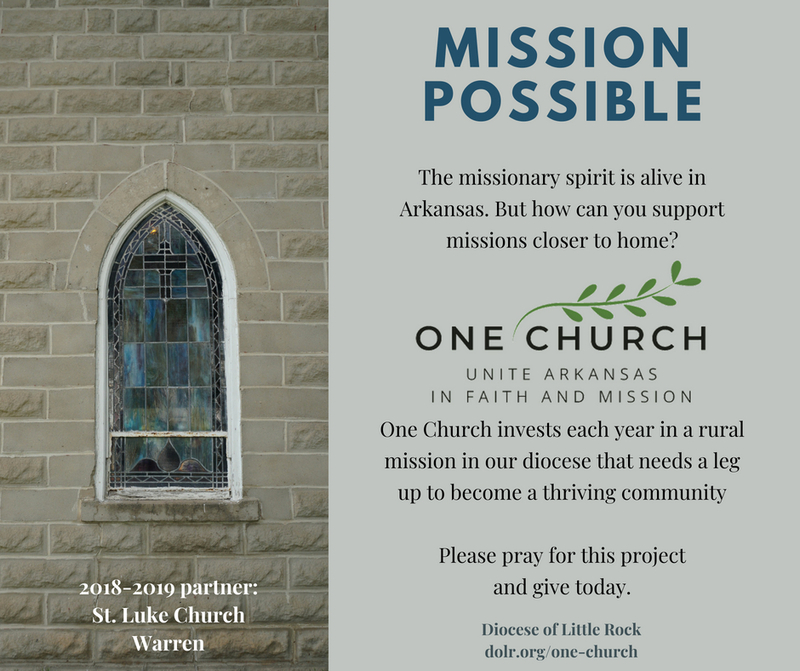 Click on the button above to donate online to the One Church: Unite Arkansas in Faith and Mission initiative that supports a rural mission that needs a leg up to become a thriving community. The parish's religious education building is an old house where they can only teach two faith formation classes at a time. They don’t have a parish hall so they hold their parish events outside on the parish grounds. And they don’t have a parking lot so they must park across a busy street in a store parking lot. Thankfully St. Luke has an acquired the old farmers co-op and will be renovating it to meet their needs for decades to come. With donations from their parishioners and One Church, the parish will be able to renovate the warehouse and storefront to become their new sanctuary, classroom and office. The parish needs a one-time boost to help them pay for this venture. 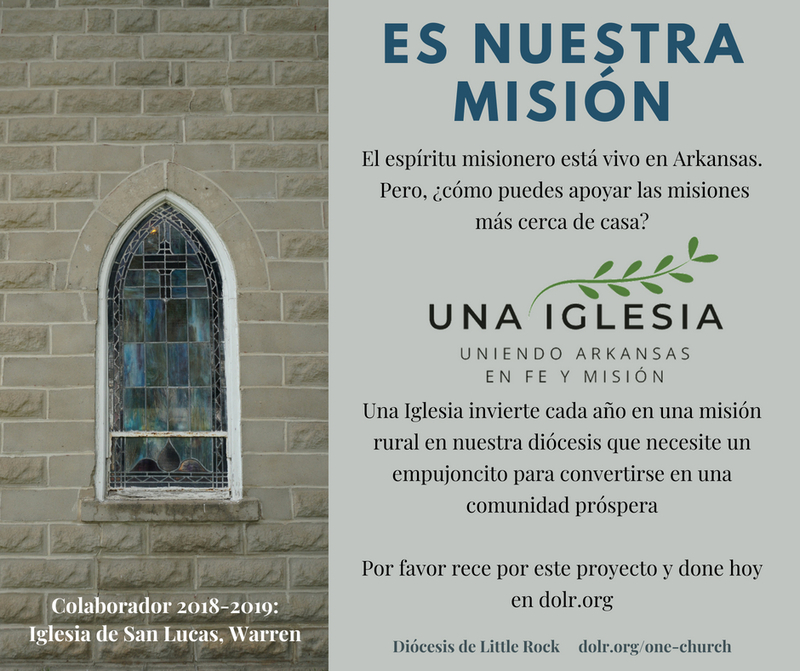 Parishes in the Diocese of Little Rock may choose to support this initiative in various ways, from a second collection to a fundraiser through the youth group. 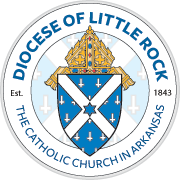 Families are invited to donate now by making an online gift or mailing a check to Catholic Charities of Arkansas, 2500 N. Tyler St., Little Rock, AR 72207, with the notation "St. Luke Warren." Download the following resources for use in your parishes. If you have any questions about these materials, e-mail Emily Roberts or call her at (501) 664-0125.